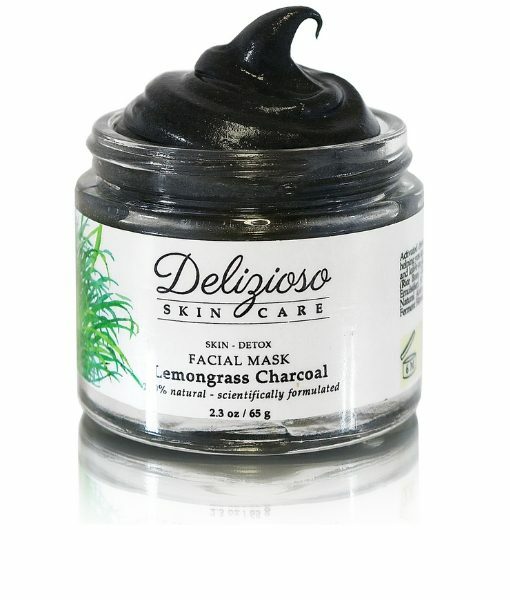 Activated charcoal works like a magnet to attract and absorb bacteria, toxins, dirt and other micro-particles to the surface of the skin, helping you to achieve a flawless complexion. This luxuriously creamy mask leaves your skin looking soft and clean! Size: 2.3 oz / 65 gr. (*Certified Organic) *Aloe Barbadensis (Aloe Vera) Juice, *Oryza sativa (Rice Bran) Oil, *Prunus avium (Cherry Kernel) Oil, Activated Charcoal, Cetearyl Olivate and Sorbitan Olivate (Natural Olive Oil Emulsifier), Simmondsia chinensis (Jojoba) Proteins, Ascorbic Acid (Vitamin C), Cymbopogon citratus (Lemongrass) Essential Oil and Natural Antioxidant Preservative (Vitis Vinifera (Grape) Seed Extract, Populus Tremuloides Bark Extract, Leuconostoc/Radish Root Ferment Filtrate, Sambucus Nigra (Elder) Fruit Extract).